Every project involves various requirements that is procured internally and from external sources. 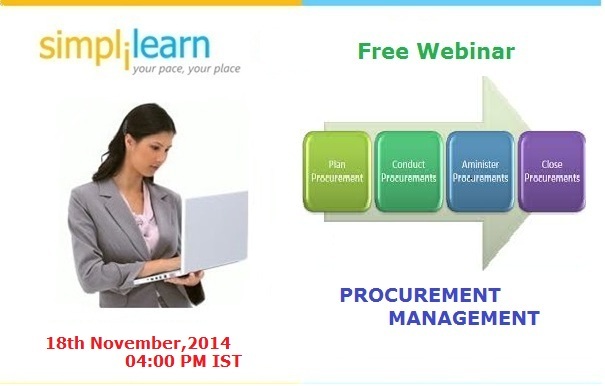 The acquisition of products and services from external sources is called procurement. Procurement management include effective management of acquisition of supply of products and services required in a project. The ultimate goal is to procure in an affordable way meeting project timelines and budget. Kindly Note:Only Registered participants can attend the webinar. Participants will receive an unique link 24-48 hours before the schedule time of webinar for attending the webinar.